NGT48, sister group to AKB48, will be releasing their debut single on April 12th. The announcement was made on January 20th during the "NGT48 1 Shunen Kinen Concert in TDC ~Max Tokimekasechatte Iidesuka? ", held at the TOKYO DOME CITY HALL. 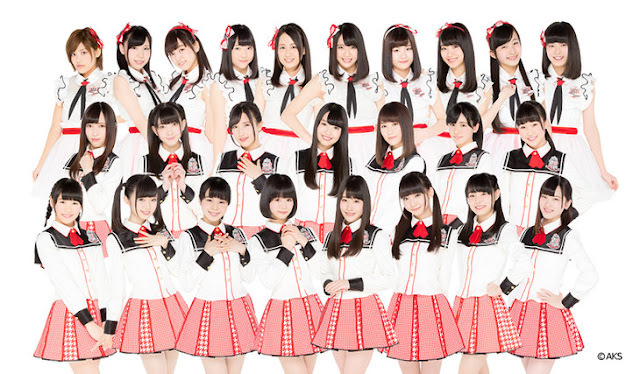 The senbatsu members will be 16 girls of Team NIII, and the center will be Rika Nakai. Following the announcement, Nakai expressed concern whether or not she would fit as center, but asked for fans to cheer her on. Captain Rie Kitahara stated this is the "real start" of NGT48 and that the group will be putting all the effort they can into making the group a success. More details on the single will be released at a later date.